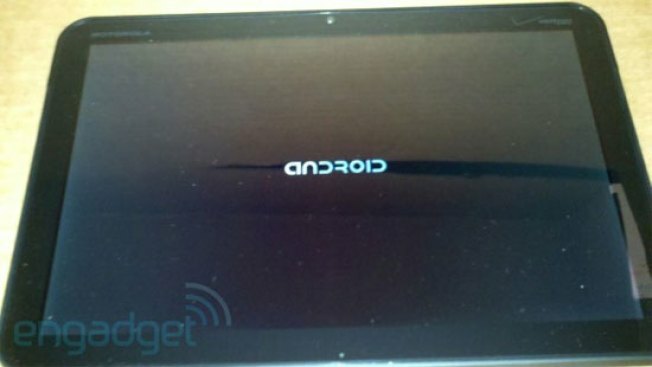 Motorola's tablet will land on Verizon. Why should you be interested in this tablet as opposed to say, all the other tablets that are slowly flooding the market? Because this tablet isn't any regular tablet — it's the first real tablet that will take full advantage of Android 3.0 Honeycomb, the next revision of Google's mobile OS. A friendly tipster managed to snag a few shots of the Motorola tablet that Andy Rubin, Vice President of Engineering at Google briefly unwrapped last week. Here's what we now know the tablet sports: 10-inch screen with a 1280 x 800 resolution, 1GHz Tegra 2 T20 processor (for super smooth HD video playback and multi-tasking), 32GB of internal storage, 512MB RAM, MicroSD card slot and two cameras (front and back). Best of all, the tablet has Verizon-branding on it. Since it won't be arriving until at least next year, will it have 4G speeds too? Motorola's Droid smartphones have been very good to Verizon these last few years — can a tablet replicate the same success?